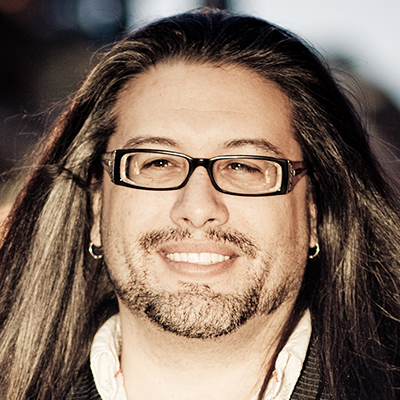 John Romero is an award-winning game development icon whose work spans over 130 games, 108 of which have been published commercially. Romero is the "father of first-person shooters" having led the design and contributed to the programming and audio design of the iconic and genre-defining games DOOM, Quake, Heretic and Hexen. Romero is also one of the earliest supporters of eSports and a current competitive DOOM and Quake player. To date, Romero has co-founded eight successful game companies including the likes of id Software. He is considered to be among the world's top game designers, and his products have won well over 100 awards. Romero most recently won a Lifetime Achievement award at the Fun & Serious Games Festival in Bilbao and the Legend Award at 2017's Develop: Brighton. One of the earliest indie developers, Romero began working in the game space in 1979 on mainframes before moving to the Apple II in 1981. He is a completely self-taught programmer, designer and artist, having drawn his inspirations from early Apple II programmers.